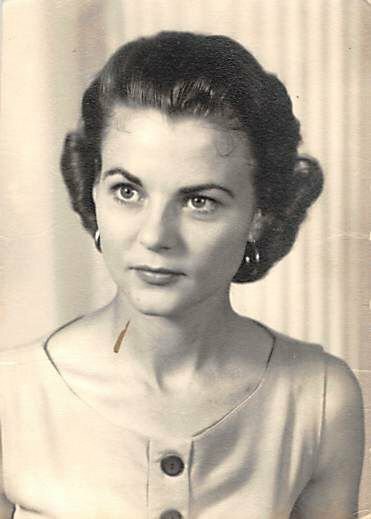 Mary June Davis Pizzuto, 83, of Texas City, passed away on Palm Sunday, April 14, 2019, peacefully at home. Funeral services will be held at Emken-Linton Funeral Home Wednesday, April 17, 2019 at 5:00 p.m., for family, 6:00 — 7:00 p.m., for friends and 7:00 p.m., for services. Burial will follow at Mount Olivet Cemetery on Thursday, March 18, at 10:00 a.m.
Mary Pizzuto was born in Upshur County, Texas on July 19, 1935. She was a Mother to all, an excellent cook and enjoyed making meals for her family and friends. Mary was known for her wittiness, feistiness, storytelling and good sense of humor. 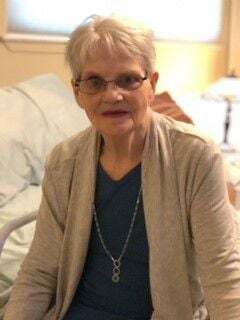 She passed away peacefully at home surrounded by her loved ones under the A-Med Community Hospice Care on April 14, Palm Sunday. The care, love and special attention given by the nurses was amazing. She will be missed by all that knew and loved her. She was a loving mother, grandmother, great grandmother and wife. She was loved and cared for by her husband of 53 years, Joseph Pizzuto. His devotion to the very end was tender and loving. She was preceded in death by her first husband, Bobby Blackburn, her mother, Katie Lucille Hasten and her father, Gaily “Pete” Davis, her sister, Dortha Denman, brothers Virgil Whitehurst and Charles Whitehurst. Survivors include her husband, Joseph A. Pizzuto; daughter, Linda (Dennis) Quebe; sons, Ronald (Donzelle) Blackburn and Paul (Sandra) Blackburn; stepsons, Joseph (Irma) Pizzuto, Jr., Samuel (Lucille) Pizzuto and Alfred (Kay) Pizzuto; sister, Billye Rose Cotton (Ernest Ray); grandsons, Tavish Thomas, Joseph Blackburn, Garrett Blackburn, William Hoch, Mitch Laughlin and Dennis Quebe, Jr; granddaughter, Holly Quebe South (Mike); great grandchildren, Jaxson South, Gavin Blackburn, Avery South, Addilynn Blackburn, and Ella South; nephews, Anthony Theriot, Chuck Whitehurst and Tim Denman; nieces, Leslie McMahan, Charlotte Whitehurst, Jamisu Denman and Marie Whitehurst. Pallbearers will be Anthony Theriot, Tavish Thomas, Garrett Blackburn, William Hoch, Mitch Laughlin and Dennis Quebe, Jr. In lieu of flowers, donations may be made to A-Med Community Hospice of Texas City.